Pass the napkins! Ivanka Trump celebrated her son Joseph&apos;s thirrd birthday on Friday, October 14, with the cutest tradition. 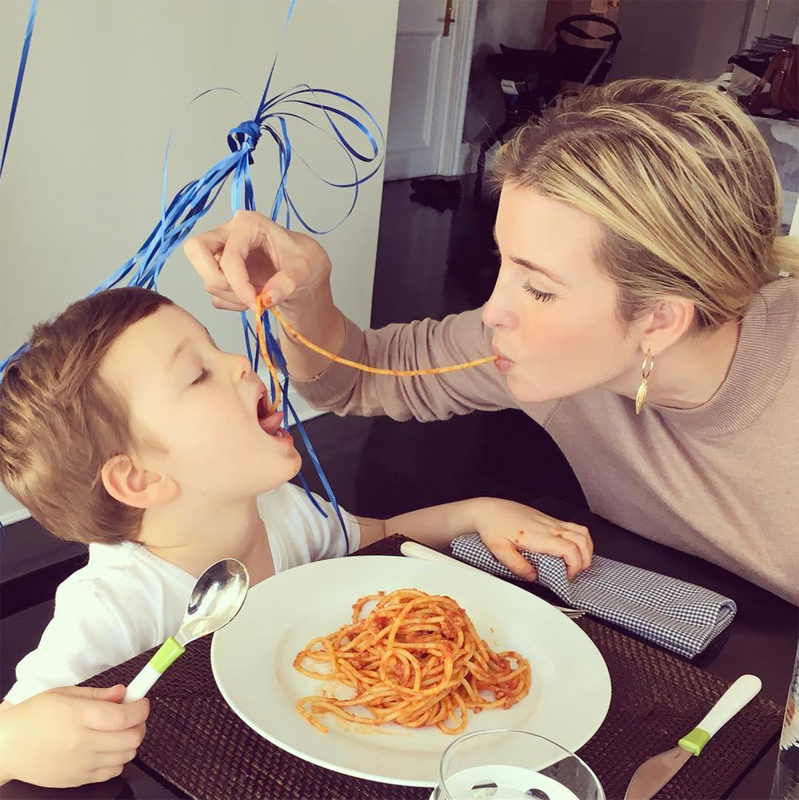 The businesswoman, 34, posted an Instagram pic of her and her growing boy eating the same piece of spaghetti, à la Lady and the Tramp. "Birthday tradition: Spaghetti lunch-date!" she wrote. The duo appeared to be enjoying lunch together at home. Joseph chowed down on the pasta with a spoon, but got some extra help from his famous mom. Happy birthday to my precious Joseph. You are such a loving little soul. I cannot believe that you are already 3 years old! ? Hours earlier, she shared a throwback photo of Joseph as a newborn. "Happy birthday to my precious Joseph," she captioned the snapshot. "You are such a loving little soul. I cannot believe that you are already 3 years old!" Trump and her husband, Jared Kushner, tied the knot in 2009 and reside in NYC. She and the investor are also parents of daughter Arabella, 5, and son Theodore, 6 months. In 2013, Trump, expecting with Joseph at the time, opened up about motherhood during an interview with Fit Pregnancy magazine. "Motherhood has affected everything in my life. From a work perspective, I&apos;m highly efficient. I do a lot more and I&apos;ve never been busier, but I can get things done in a lot less time," she said. "Once in a while, I&apos;ll have a moment when I&apos;m traveling for work. I&apos;m in a hotel room somewhere, and I&apos;m drinking a coffee and reading a newspaper, alone and in a leisurely fashion before my day gets started, and I&apos;m thinking, This is incredibly civilized, but it&apos;s way more fun being home amidst the morning chaos. I kind of love it in that moment, but I prefer the hectic alternative." While Ivanka celebrates, her father, Donald Trump, continues to work on the campaign trail. On Friday, October 14, the GOP presidential candidate, 70, slammed women accusing him of sexual misconduct during a speech in North Carolina.